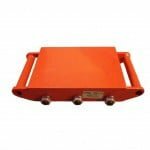 TFD35-NU has a 350kg capacity, a 1.5m lift height and a table top of 920x520mm, it’s one of our most popular lift tables. 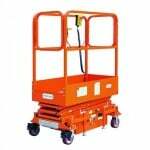 This mobile double scissor lift table has such uses as assembly lines and moving computer servers. 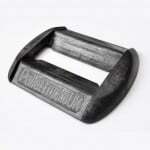 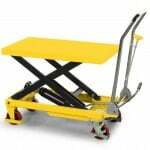 Table trucks have a multitude of applications in many areas of industry. 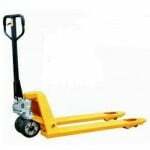 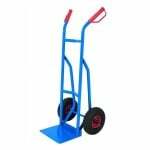 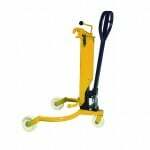 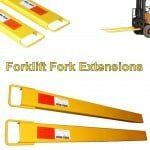 It features a 350kg lift capacity, whilst maintaining a lift height of up to 1.5 metres. 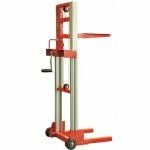 There is a foot operated hydraulic lift for raising the table top to the desired height, whilst descent is controlled with a hand operated trigger. 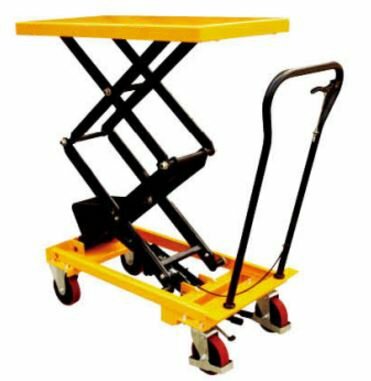 The TFD35-NU table truck can lift 350kg from a minimum lift height of 435mm up to a maximum lift height of 1500mm.